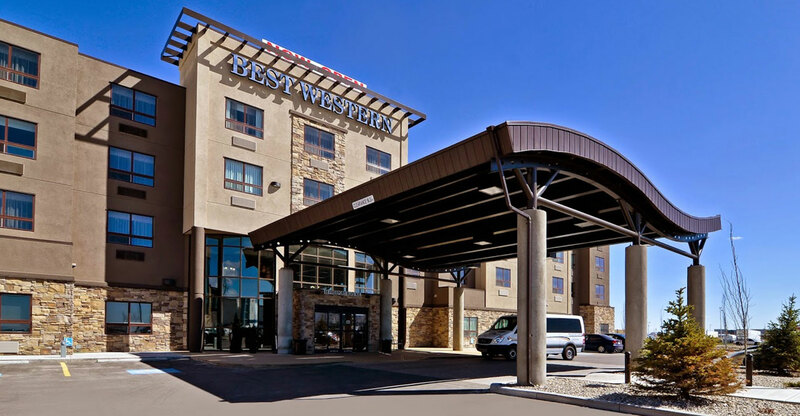 Best Western Premier Freeport Inn Calgary Airport Blog: Calgary Expo returns! As of May 1st, 2019, breakfast will be available for a nominal charge. It’s time for one of the biggest comic and entertainment expo in Western Canada once again! Chock full to the brim with reasons to attend, the fact that the Calgary Comic and Entertainment Expo includes the word “Entertainment” in the title is proof that this event has something for everybody. Don’t like comics? Well, do you like TV? Movies? Sci-fi? Fantasy? Reading? Art? Board games? Video games? Anything? If you picked ANY OF THESE ANSWERS, you’re going to have a great time. Calgary Expo is a blast every year, and always has a mind-blowing assortment of great guests. This year’s line-up of special guests includes Sean Astin, Corey Feldman and Ke Huy Quan, AKA THE GOONIES, Lynda Carter (The original Wonder Woman! ), Ian Somherhelder and Paul Wesley (stars of The Vampire Diaries), Zachary Levi (Shazam! ), David Harbour (Stranger Things and the new Hellboy) and... (get ready for it…) THE ENTIRE MAIN CAST OF BACK TO THE FUTURE. That’s right, Michael J. Fox, Christopher Lloyd, Lea Thompson, James Tolkan and Biff himself, Tom Wilson! And that’s not even to MENTION other stars like Catherine Tate (Dr. Who) and Pamela Anderson (Pamela Andreson). This is a star-studded line-up that can’t be missed! Throw in festival-exclusive reveals, fantastic cosplay competitions and HUNDREDS of creators and vendors on the show floor, and this is THE fan event to attend this year! Calgary Comic and Entertainment Expo 2019 takes place Thursday, April 25 to Sunday, April 28 at Calgary Stampede Park! Attending the Calgary Expo? Make sure you book a room at the Best Western Premier Freeport Inn & Suites. Our friendly staff will LOVE your cosplay and our complimentary airport shuttle will pick you up and drop you off at the airport! Put Calgary on your bucket list! The Flames heat up Calgary! Spend Family Day in Calgary! The best of indoor Calgary! Heat up January in Calgary!